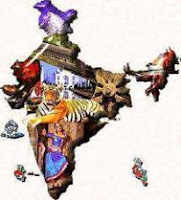 India GK Question Sample Paper 114: India General Knowledge (GK) Sample Question Paper No. 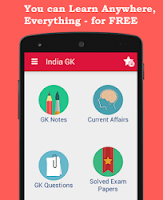 114 with Collection of 20 Question of India GK Questions under GK Quiz in PDF @ India GK Sample Papers. India General Knowledge (GK) and General Science (GS) Questions are also available with Quiz on daily basis. Q.1911 Brass is an alloy that is made up of? Q.1913 Which of the following is the Chemical name of the salt we use in our kitchen? Q.1914 Which of the following is not a desert ? Q.1921 In how many time zones has the world been divided ? Q.1922 Which of the is a good and rich source of vitamin 'C'? Q.1923 Who among the following was the first woman minister of a state? Q.1924 Which of the following is the first Indian to go in space? Q.1925 Kalchakra ceremony is associated with which of the following ceremonies?